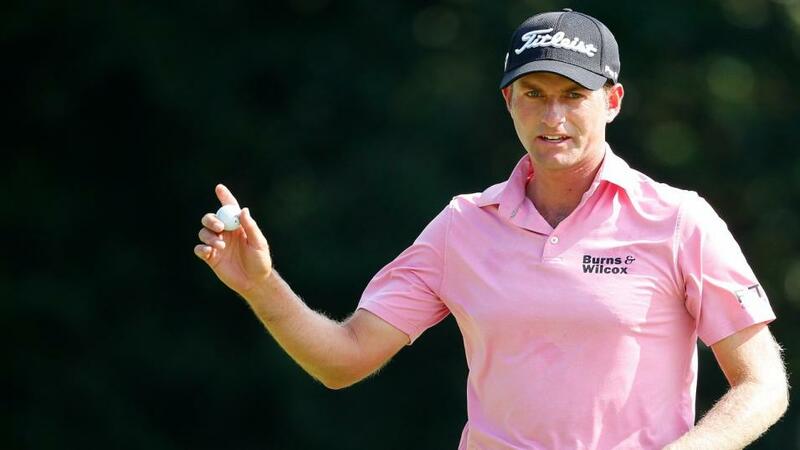 "Webb Simpson could play a bigger role than the market suggests. He's performed well in both major team matchplay competitions in the past, and has found a rich vein of form in 2018. 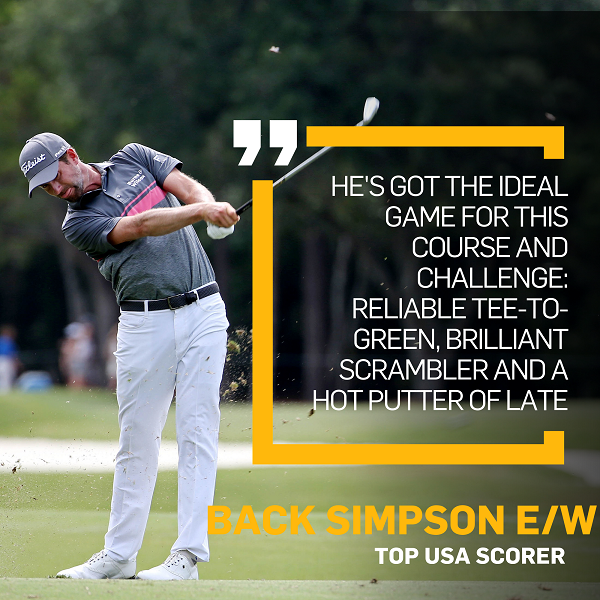 He's got the ideal game for this course and challenge." In his must-read piece on the trends and stats, Dave Tindall notes that this USA line-up is the strongest team in Ryder Cup history, based on their combined world rankings. That feels hard to dispute and sorting out which superstar will play the central roles is far from straightforward. Remember, if anyone reaches 3.5 points, at least two thirds of players will lose all mathematical chance because they simply won't play enough games. In contrast to Europe, the target to be Top USA Scorer has often been lower - 3 was enough for at least a tie in five of the last ten Ryder Cups. However two of those can be explained by a massive defeat - which very few expect this year. Another was in the weather-affected, four-session renewal of 2010. The five-way tie of 2012 was slightly odd in that no American played all five matches. Unless a player is fancied to play in at least four, they make little betting appeal. Lets try a process of elimination. First, it is hard to see the ageing, out of form, Phil Mickelson playing more than three in an event where he has generally underachieved. Nor, surely, will Bubba Watson get into either foursomes session. Given the alternatives available, Tony Finau must be rated unlikely to get four. For me, all the other nine are potential winners, including four fairly obvious pairings. If past matchplay pedigree is the criteria to follow, Jim Furyk will surely restore the Patrick Reed/Jordan Spieth partnership that has been devastatingly effective in Ryder and Presidents Cups. Dustin Johnson and Brooks Koepka are an obvious fourball having won both matches at the Presidents Cup by 3 & 2 margins. Likewise, Justin Thomas went unbeaten with friend Rickie Fowler in three matches. Tiger Woods and Bryson Dechambeau are expected to team up. A good case could be made for any of those playing the full quota, but equally many have question marks. Reed and Spieth both arrive out of form. Woods and Fowler have underachieved in this event. Thomas and Dechambeau are making their debuts. The bombers won't get that much change out of Le Golf National. Of these eight big-guns, the consistent Thomas gets the marginal nod. That pairing with Fowler looks pretty formidable and, if and when Rickie misses a session, JT could just as easily form another all-star pairing with, say, Spieth or Woods. I think he'll play all five, which would make [13.5] for Top Overall Scorer particularly appealing. Finally, Webb Simpson could play a bigger role than the market suggests. He's performed well in both major team matchplay competitions in the past, and has found a rich vein of form in 2018. He's got the ideal game for this course and challenge - reliable tee-to-green, brilliant scrambler and a hot putter of late. He's worthy of an each-way punt, in hope that an early impression boosts his claim to stay out there.